Home > Cataracts > Cataract Surgery Post-Op Care: What Can I Expect After Surgery? 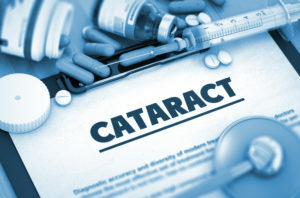 When a cataract has progressed to the point that it is interfering with normal, everyday functions, such as driving or reading, surgery is often the recommended course of action. Fortunately, “cataract surgery is one of the safest and most effective types of surgery performed in the United States today,” according to NEI. The surgery involves removing the lens of the eye and replacing it with an artificial lens – an intraocular lense (IOL) implant. Under local anesthesia, a small incision is made on the edge of the cornea and high frequency ultrasound vibrations gently dissolve the natural lens into small pieces. These fragments are removed and replaced with the IOL. The thin, posterior layers of the lens, called the lens capsule, is left behind. Today, more than a million IOLs are implanted every year in the United States alone. But what happens after surgery? Cataract surgery is the most frequently performed operation in the United States, with a 98 percent success rate, the highest of any surgery practiced today. Recovery should be short and uneventful. Following cataract surgery, patients typically stay in the doctor’s office for roughly an hour to monitor eye pressure and ensure there are no unexpected/rare complications. If all is well, they are released to a friend or family member. At this point, it is not safe for the patient to drive. Refrain from bending with the head below the waist. Refrain from lifting more than 10 pounds. Refrain from straining to the point of holding one’s breath (on the toilet, for example). All of these activities increase the pressure inside the eye and can open the incision. The doctor may also prescribe eye drops or other medication to control eye pressure, prevent infection, and reduce inflammation. Oral pain relievers such as acetaminophen may also be prescribed, if needed. Typically, however, you should feel only slight discomfort. A day or two following surgery, it is back to the doctor’s office for a follow-up exam. Then again the following week and a month later to monitor your progress. Often, complete healing occurs within eight weeks. For the best possible recovery, follow your doctor’s detailed instructions. “We should all be so lucky to develop cataracts in our lifetime, as this would mean we have lived a long and healthy life,” says Dr. Boles. The Anne Arundel Eye Center (AAEC) is a regional leader in the diagnosis and treatment of glaucoma and cataracts. A consultation with board certified ophthalmologist Dr. Boles will guide you through the treatment process and help you determine the best course of action. Dr. Boles utilizes the LenSx® Laser, the most technologically advanced option for cataract patients today, to create a cataract surgery that’s 100% unique to each patient. Staffed by caring and knowledgeable professionals, AAEC’s state-of-the-art treatment center is dedicated to making the best eye care accessible to everyone.